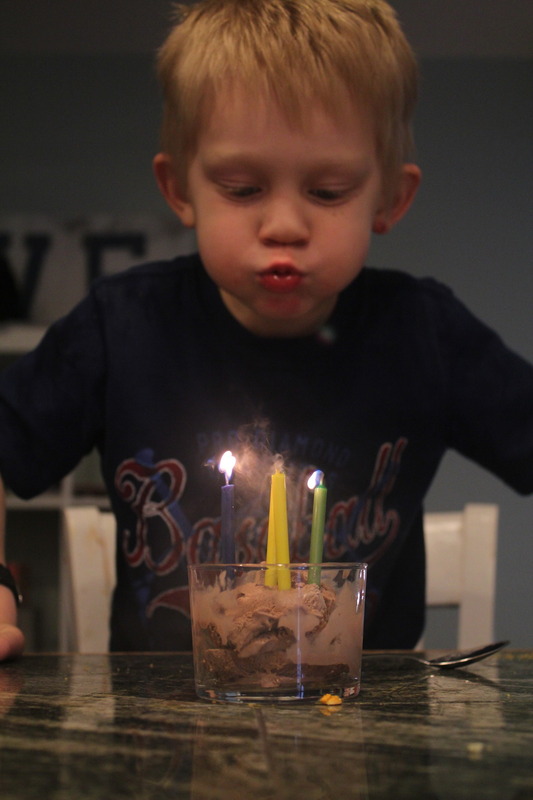 A fifth birthday is a big birthday. It means you get to start kindergarten in the fall and gets lots of new responsibilities. I think he will really like being five. His first day start off awesome at least. He opened presents from Mom and Dad and then played for a bit before heading out to Big Al's for the afternoon. 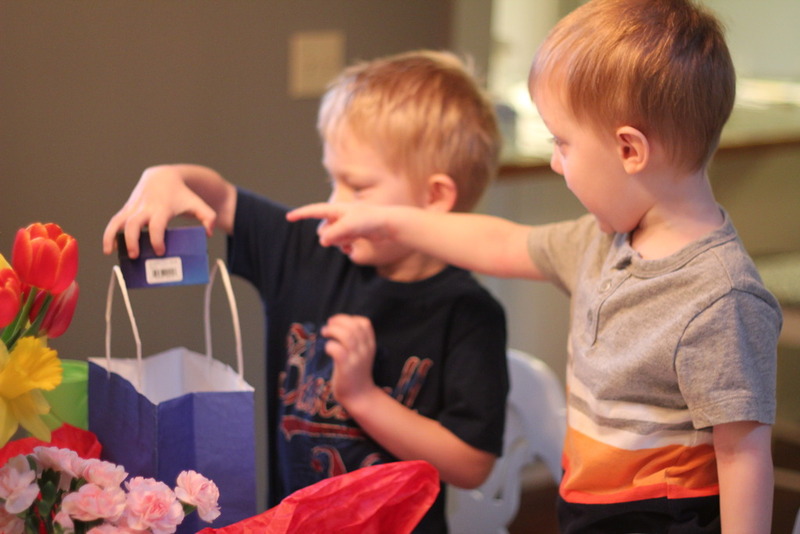 Benton really wanted a watch and was so excited when he got one! And it glows in the dark, he's been telling everyone all day saying, "And it glows up!" 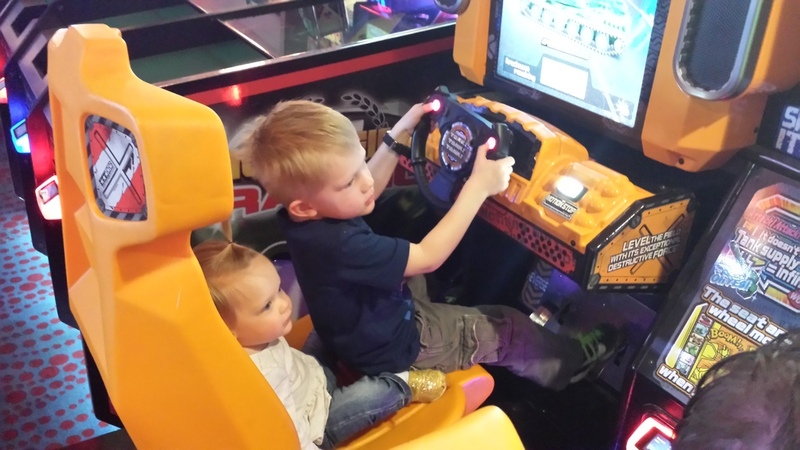 My sister Tonya and her family joined us at Big Al's for lunch and the we hit the arcade. We've gone there for Christmas Eve for the past two years and Benton has been wanting to go back for months. Everyone loved it. Since the cake was such a big hit for Emmett's birthday I let Benton know he could pick any treat for his birthday, it didn't have to be cake. He picked ice cream, and it was enjoyed by everyone! 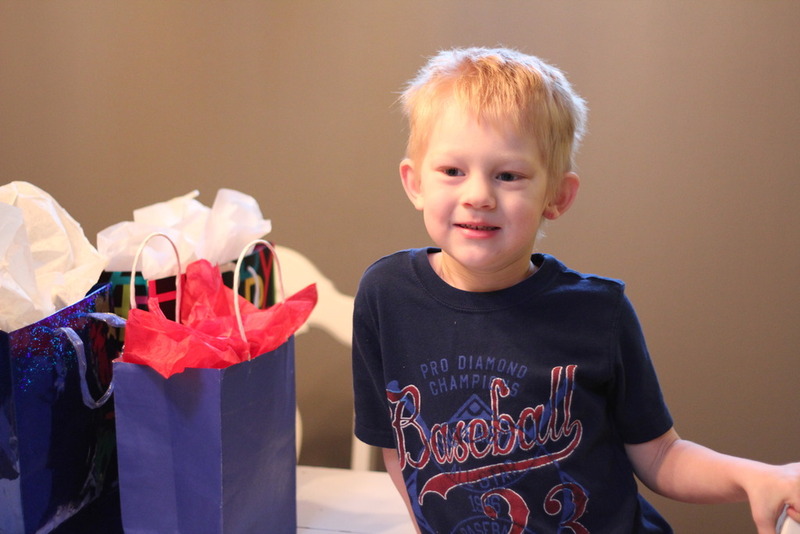 Happy fifth birthday Benton, you have a wonderful year ahead of you.